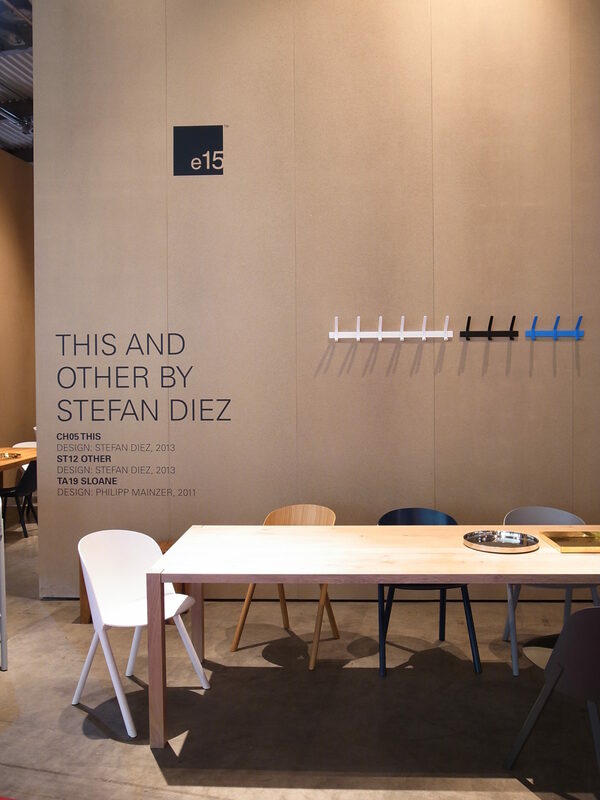 A new exhibition design concept was developed for the premium brand e15. 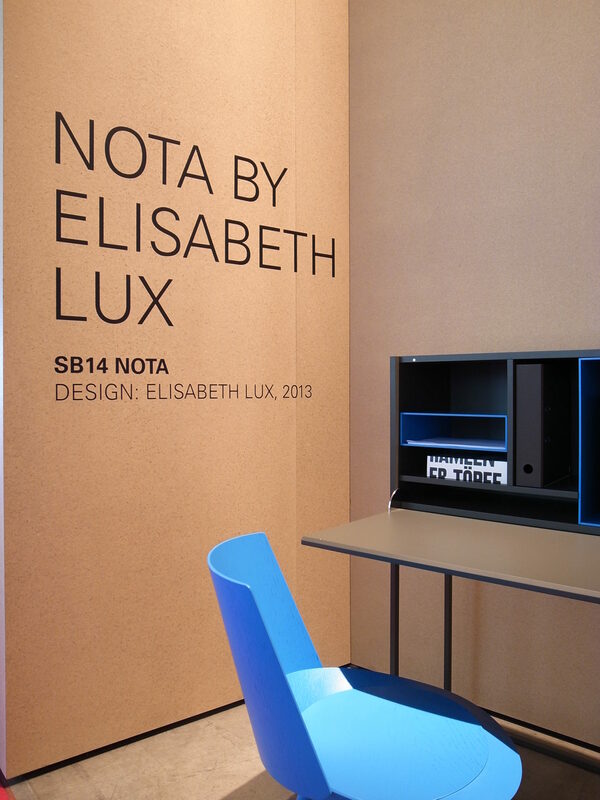 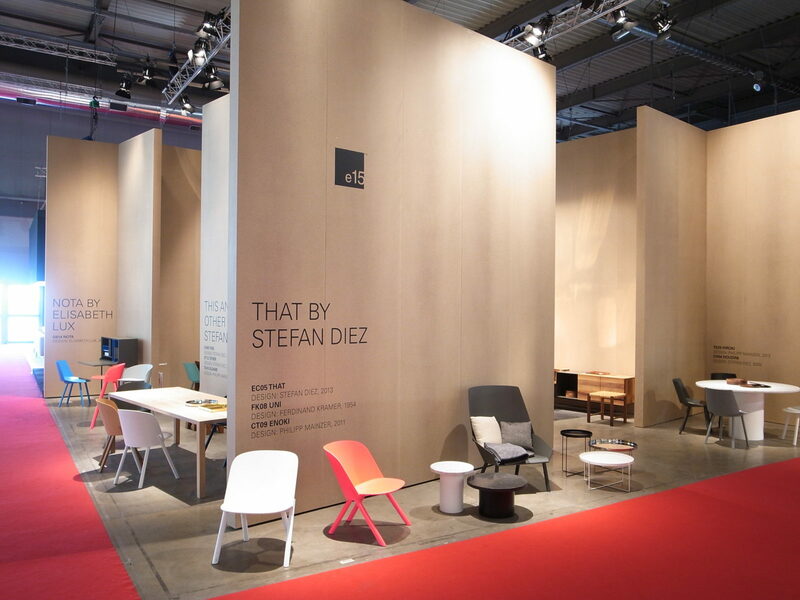 As a crucial part of the furniture brand’s presentations at international trade fairs, a new exhibition concept was created for 2013. 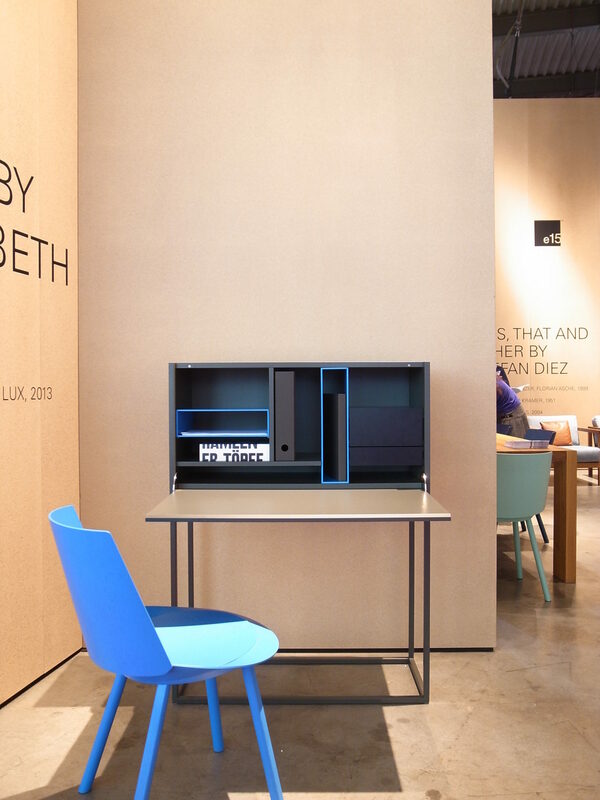 Structured into individual settings with walls in clear lacquered chipboard, the space unfolded in different directions, creating intriguing viewpoints. 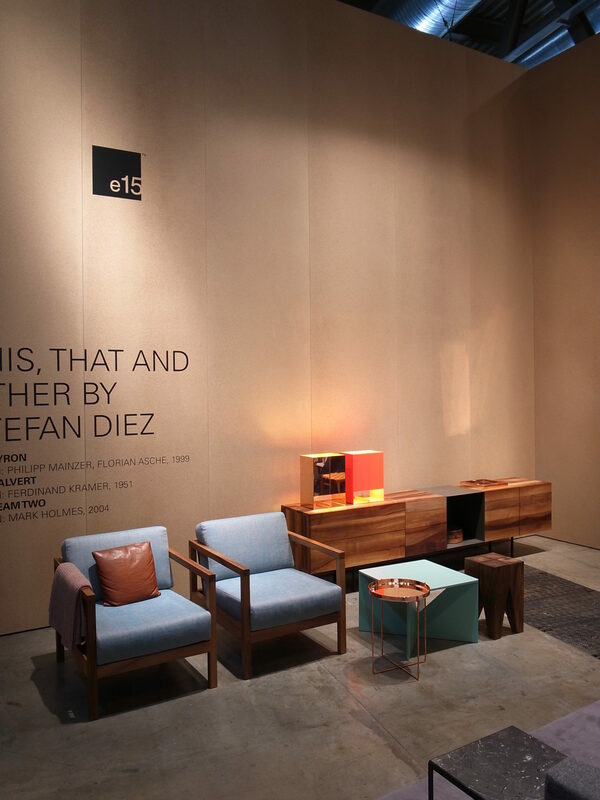 The exhibition showcased the products in interlocking rooms, accentuating the modern aesthetic of the e15 collection set against the informal chipboard walls. 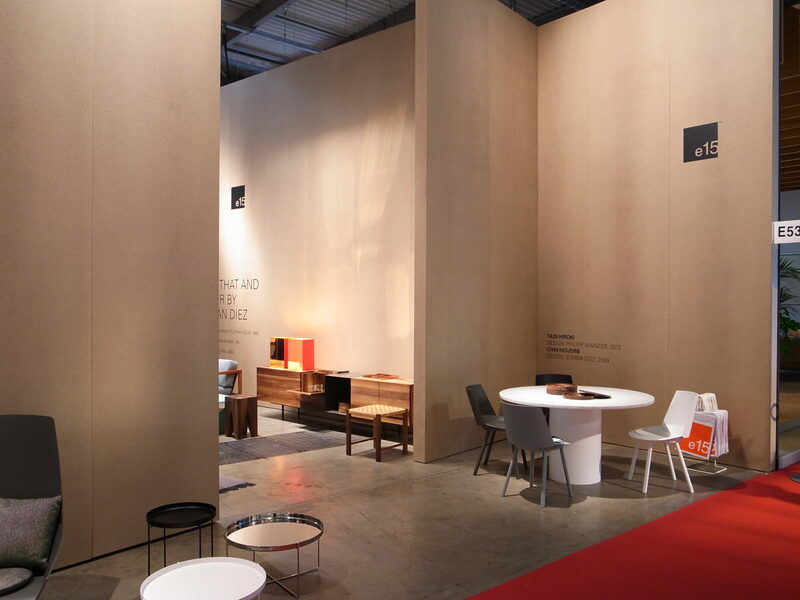 Informative graphics on the walls in combination with the black concrete floor lent the presentation a bold character.